Why is Royal Caribbean Known as a Nightmare Cruise Line? Home » Why are Passengers Calling Royal Caribbean a Nightmare Cruise Line? Why are Passengers Calling Royal Caribbean a Nightmare Cruise Line? Last month, a cruise ship passenger from Texas fell 100 feet into the water from a Royal Caribbean cruise line. After an exhaustive effort covering more than 2,500 miles, the Coast Guard called off the search and explained the fall would have likely killed the passenger or stunned him, which means he would have drowned. Two weeks after this incident, a lawsuit was filed against Royal Caribbean by the family of a Florida passenger who also fell overboard and whose body was never recovered. The lawsuit alleges the cruise line negligently overserved the passenger alcohol, which caused his fall. The claimant also says these circumstances were not an isolated incident and the cruise line has had other passengers fall to their deaths overboard. In late February, Royal Caribbean’s cruise ship, Anthem of the Seas, was hit with a norovirus outbreak. The Centers for Disease control reported 3 percent of the 6,000 passengers contracted the virus, which can induce malaise, fevers, muscle pain, vomiting and abdominal pain. A statement released said that fewer than 10 cases per day were reported, as if it were an acceptable number. The Anthem of the Seas is one of the world’s biggest and newest cruise ships to hit the water, but it has had a rough start on its recent voyages. Roughly two weeks before the norovirus outbreak, the Anthem of the Seas sailed right into a hurricane. Passengers say the captain announced there was indeed a storm the day they boarded the ship, but that he planned to outrun the storm or go around it. When the storm hit, passengers were ordered into their cabins and remained there for 12 hours. The hurricane-force winds and 30 foot waves caused belongings to shoot across rooms and people to be flung about their cabins. Four passengers were injured and many others traumatized. But, hey, at least Royal Caribbean offered a refund in hopes passengers would not file a lawsuit. Well, it didn’t work. Passengers did file lawsuits for negligence and recklessly racing the ship into a storm the cruise line was perfectly aware was on the ship’s course. Cruise lines advertise their ships as fun and safe. However, what most cruise lines don’t want passengers to know is that there really is no oversight in cruise line operations. Cruise lines, including Royal Caribbean, incorporate the line in other countries, such as Panama or Bermuda. The cruise lines fly foreign flags, despite the influx of U.S. business. By doing so, they avoid all of America’s federal labor laws, taxes and (most importantly) safety regulations. Unfortunately, each day the ships are not running means cruise lines lose money. As a result, safety and maintenance are skimped on to continue the surge of profits they receive. The U.S. needs to do a better job of federally regulating cruise ship safety standards to protect passengers from lines like Royal Caribbean, which is becoming a danger to its passengers. 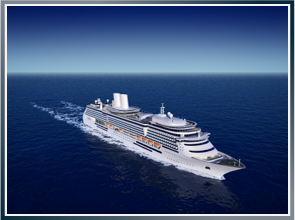 Latti & Anderson LLP is a maritime injury law firm that fights for victims who have been injured in cruise ship accidents nationwide. Previous How Did This Worker Sustain Amputation Injuries While Channel Dredging? Next Why is This Tugboat Worker Suing Tappan Zee Constructors?